Washington, Aug 24 : The release of Hollywood star Leonardo DiCaprio''s new film has been postponed to next year following credit crisis. 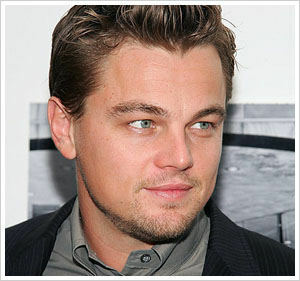 The ‘Titanic’ star plays an escaped prisoner in ''Shutter Island'', directed by Martin Scorsese. "Our 2009 slate was green-lit in a very different economic climate and as a result we must remain flexible and willing to recalibrate and adapt to a changing environment,” Contactmusic quoted Paramount Pictures chairman and CEO Brad Grey as saying. "Leonardo DiCaprio is among the most talented actors working today, and Martin Scorsese is not just one of the world''s most significant filmmakers, but also a personal friend. “Following a highly successful 2009, we have every confidence that Shutter Island is a great anchor to lead off our 2010 slate and the shift in date is the best decision for the film (and) the studio," he added.